Many questioned the safety of personal mobility devices when the millionaire owner of the Segway company, Jimi Heselden, died after losing control of his Segway on a cliff in 2010. 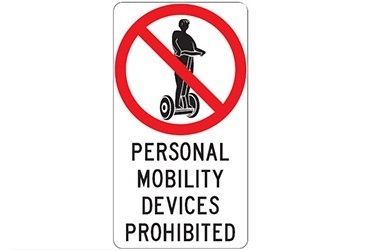 Despite the benefits of using devices like Segway -- a two-wheeled, battery-powered personal transportation device – hoverboards and electric scooters, allowing personal mobility devices, or PMDs, in public areas is being heatedly discussed here, with the related law pending. PMDs currently have no separate traffic licensing system in Korea and therefore cannot be insured based on the Road Traffic Act, which categorizes them as “motorbikes,” meaning they can only be used on regular car lanes with a helmet by those aged 16 and above and who hold a two-wheeled motor vehicle driving license. While devices without a power system such as in-line skates are allowed in public parks, those that run on electric power units are prohibited and those who breach the rule could be fined up to 50,000 won ($44.70). According to the Seoul Metropolitan Government, authorities issued warnings to at least 7,792 PMD users for riding devices at Han River parks last year. Furthermore, the number of PMD-related accidents has been on the rise since 2013, according to the Consumer Injury Surveillance System. The figure shot up to 174 last year, compared to 26 accidents reported in 2015. Accidents due to faulty components accounted for 52 percent of all accidents, followed by physical collisions (40 percent), data showed. Despite the rising number of accidents, PMD users are calling on authorities to introduce the related legislation. “Smart e-mobility is environmentally friendly, anti-noise and emits zero exhaust gas. In the era of smart technology, the South Korean government should come up with measures to actively support the use of smart e-mobility devices like in the US, where safety rules protect riders’ rights and safety,” said 36-year-old Yoo Hee-won, who often commutes a 20-minute distance on his Airwheel one-wheel device. 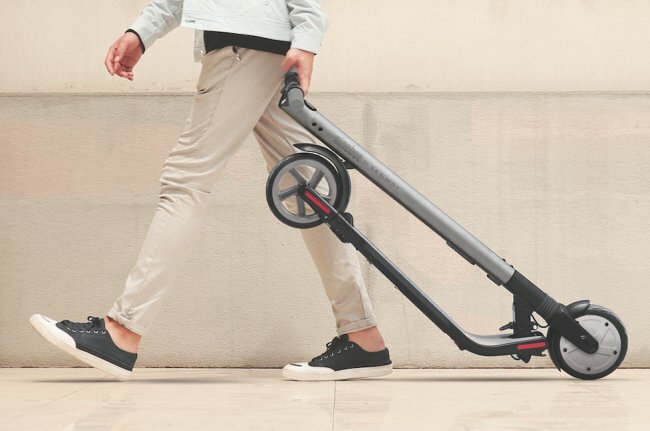 According to the US Department of Transportation, the country’s 45 states and the District of Columbia have enacted legislation to allow the use of Segway on sidewalks, bike paths and certain roads. Segways are not considered motor vehicles under the federal law, meaning they are not regulated by the National Highway Traffic Safety Administration. The operation of such devices, however, is legislated at the state and local level, so rules vary by jurisdiction. Some areas limit the use of such devices for tours, a popular use of the device, while other areas consider the device a motor vehicle, requiring it to be registered and insured in the state. The Australian state of Queensland also allows use of PMDs on road-related areas such as paths and nature strips, but restricts user’s age to above 12; they should travel no faster than 12 kph. Riders are also required to wear approved bicycle helmets that are securely fitted, ride left on paths and give way to pedestrians. In the UK, the government does not allow powered transportrs on pavements, as such vehicles are classified as carriages under the 1835 Highways Act, which prohibits carriages from pavements. Experts in Korea say authorities should legislate clear driving rules for personal mobility users here. “Since there are no driving rules for using PMDs, users are confused. Authorities should regulate the use of smart e-mobility devices for users and pedestrians’ safety,” said Park Cheon-soo, a senior researcher at the Samsung Traffic Safety Research Institute, in an interview with a local daily. The Ministry of SMEs and Startups also urged the central government to create measures for PMD users, manufacturers and sellers, and take into consideration consumer feedback to support PMDs as next-generation transportation devices. In June last year, the central government proposed a revision to the current Road Traffic Act to include details that cover driving and safety rules for the use of PMDs. “Like other countries, jurisdiction should establish ordinances that limit the speed that riders can go, or restrict where in a city such devices may be used, potentially barring it from particularly populated pedestrian areas,” said an official from the Seoul Metropolitan Government’s city transportation division.